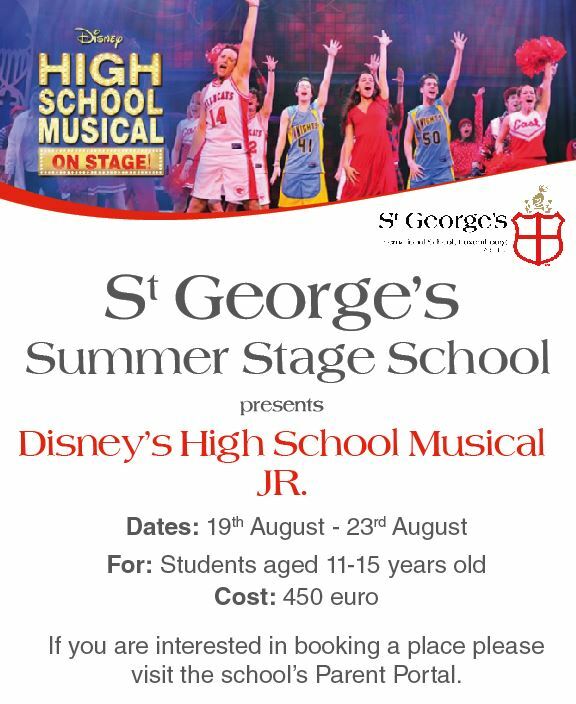 The St George’s Summer Stage School is offering students the opportunity to prepare and perform a musical over a week. 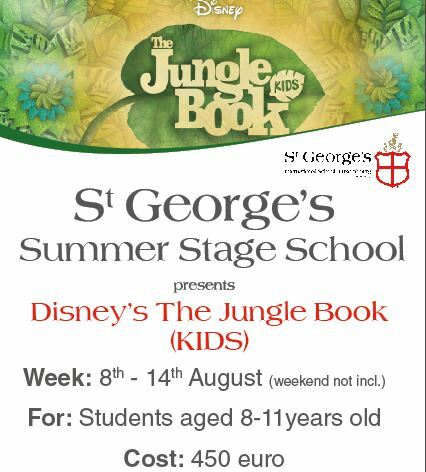 This summer we will offer The Jungle Book in week one for students aged 8-11 years and High School Musical in week two for students aged 11-15 years. Students will develop their skills in singing, acting, dance and prop making. This is an ideal summer programme for those with an interest in creative and performing arts. The five day course plus evening performance costs 450 euro. Register your interest for your child on the Parent portal. Registering above is not a confirmation of a place. Places will be confirmed on May 10th 2019.